Charlotte graduated with a First Class Degree with Honours in Business Information Systems from the University of the West of England, Bristol in 2002. She worked as a web developer for Hewlett Packard in an industrial placement, a Multimedia Design Teaching Assistant in Istanbul, Turkey and her last position before joining GE was with AXA Financial Services in IT Vendor Management. Charlotte joined GE in 2004 into the Information Management Leadership Programme (IMLP) completing rotations in different locations London, Bristol, Paris and Milan. In 2006 she transitioned into the Capital UK business as an IT Project Manager. Being responsible for a number of initiatives in Originations and Servicing working with key customers and pan-European teams, building a well-rounded skill-set during this period and grew awareness of project engagement between local IT and business project teams. In 2007 Charlotte joined an IT HQ Pan-European team, based from Bristol, UK, in the role of Decision Technology IT Leader, managing the development and programme delivery for Auto Decisioning application Pan European Automated Credit Engine (PACE), automating Risk underwriting processes. In 2010 Charlotte was promoted to a new role based in the GE HQ office, London, UK, as IT Risk and Credit Leader. Her role has a key focus on regulatory readiness, revolving around the world of Project Management, developing and executing plans in alignment with the overall IT program strategy and fostering key relationships with the Risk function and fostering key relationships with the Risk function and other functional groups. Continuously interacting and aligning, program management with functional requirements as well as the management of the technical support teams. 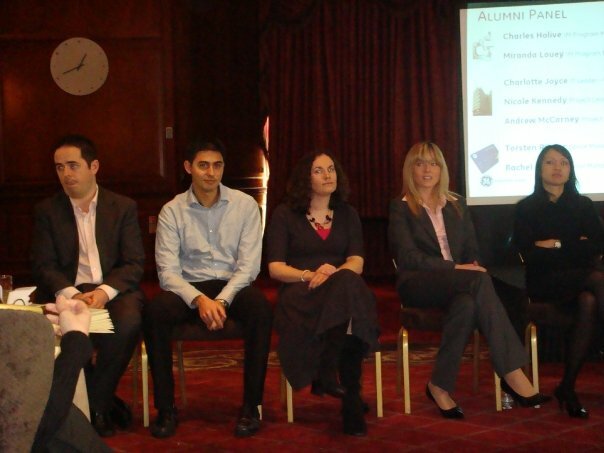 Charlotte was GE Capital EMEA Information Management Leadership Program Leader. IMLP is a two year technical and business acumen program developing undergraduates for permanent IT roles. She managed the relationships and process with global IMLP, CIO, HR and managers. She contributed to the recruitment and coaching of these IMLPs as an IT pipeline into the organisation. Charlotte was also the co-chair of the Women’s Network Women and Technology initiative for all of GE in the UK and Ireland. In 2012 Charlotte took a sabbatical and traveled to Costa Rica, Venezuela, Colombia, Bolivia and Peru. Volunteered at Angeles de Medellin (Colombia) teaching English, sports and computer skills and at Instituto Psicopedagogico San Juan de Dios (Bolivia) assisting with care for disabled children. In addition, provided leadership, IT and strategy services to these charities and visited Nukanti Foundation’s projects in Quinchia, Colombia. She then established herself as a freelance consultant and took her first contract with General Electric as the Change and Project Manager for an implementation of the Leasing Web Application used in the German market including managing stakeholders, team management of developers and business analysts. Technology; IBM Websphere Application server, J2EE, EJB & Webservices interfaces integration. Alongside this after using her skills for good, she continues to work for the charities she connected with in Colombia. Charlotte serves voluntarily as Nukanti Foundation’s UK Country Director and Global Programmes Director and with Angeles de Medellin Colombian charity. A Prince 2 Project Management practitioner, Charlotte holds a patent as inventor for Electronic Signature technology for GE Capital as part of a business process, 2006 and was nominated as ‘Rising Star of the Year’ in 2010 by GE in the external Connecting Women in Technology Awards. Charlotte is conversational in French and Spanish.